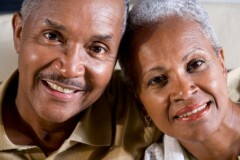 Here at PSA of Huntsville we care for you, and we offer a host of services to provide you the quality care you deserve. Feel free to browse the links below to learn more about our services, specialties and procedures. Asthma: More than 17 million Americans suffer from asthma; a condition characterized by wheezing, chest tightness, cough and shortness of breath. Despite significant advances in medical therapy, asthma morbidity and mortality have risen dramatically over the past two decades. In recent years, studies have shown that significant impact can be made when intensive teaching, aggressive management and up-to-date treatment are given to asthmatics. Chronic Obstructive Pulmonary Disease: Latest techniques and medications are used to treat individuals with emphysema, chronic bronchitis and bronchiectasis. Treatment options include medical management, pulmonary rehabilitation, non-invasive mechanical ventilation and lung reduction surgery. Cough: Cough is caused by a wide variety of conditions. Diagnosis often requires detailed evaluation. Interstitial Lung Disease: Conditions such as Sarcoidosis and Idiopathic Pulmonary Fibrosis that cause shortness of breath from lung stiffness due to diffuse scarring are frequently seen for diagnosis and treatment. Infections: Pneumonia, tuberculosis and fungal lung infections are also managed particularly the unusual or difficult to treat cases. Lung Cancer and Tumors of the Respiratory Tract: The American Cancer Society estimates that more than 140,000 lives are lost to cancer each year due to lung cancer. Lung cancer is listed as the leading cause of cancer deaths in both men and women. The most successful treatment for most lung cancer involves early detection and surgical removal. Other Symptoms of Lung Disease: Shortness of breath, wheezing, hoarseness, chest pain, bloody or discolored sputum may be caused by a variety of lung diseases. Extensive study may be indicated. Click Here to learn about our Sleep Clinic and how we can help you get back to a good night’s sleep. To schedule an appointment with us, simply complete our Online Patient Registration Form. Or if you prefer, you can call us at (256) 883-2112 during our normal business hours.